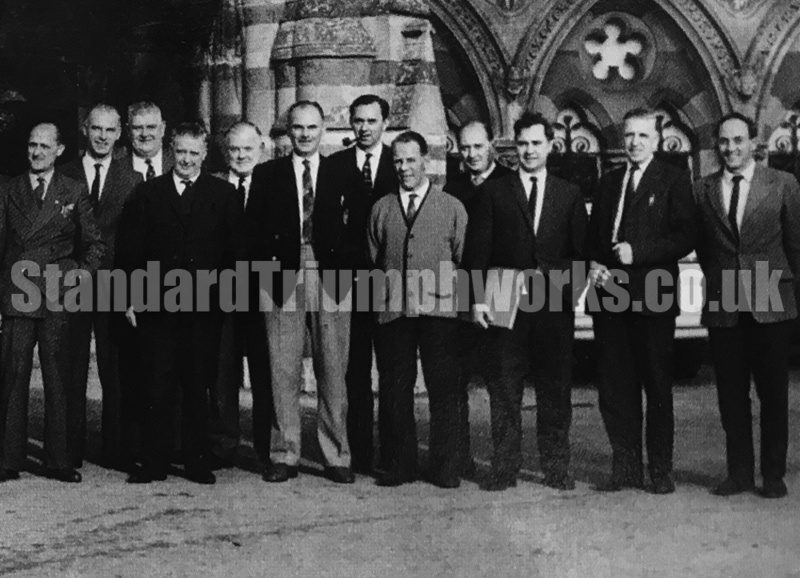 A photo we have been sent through, with a snippet of information confirming this lineup is a group of Standard Triumph Foremen. 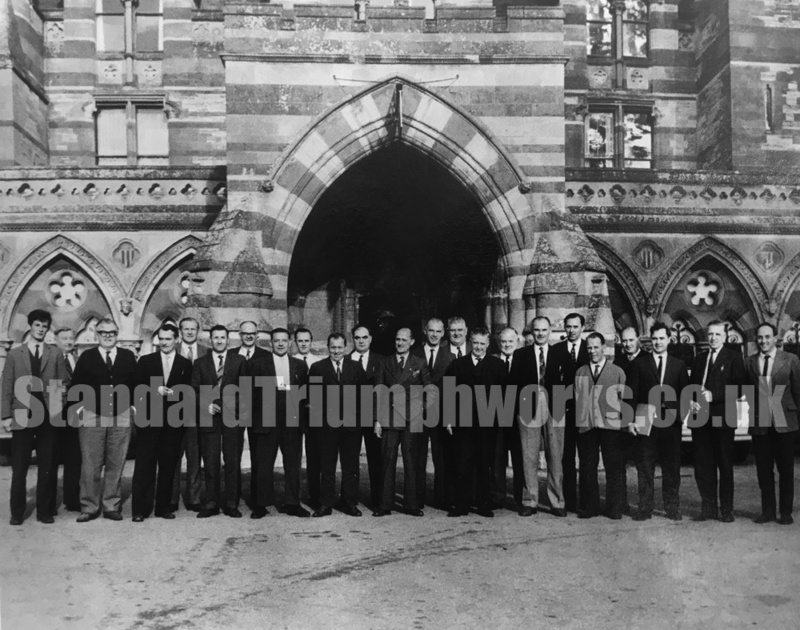 Can you help identify anyone or the location? Sadly, there is no date either on the photo or any clue to the reason for the group photograph. The whole image, then we have split into two; left and right sections so you can see the faces better. 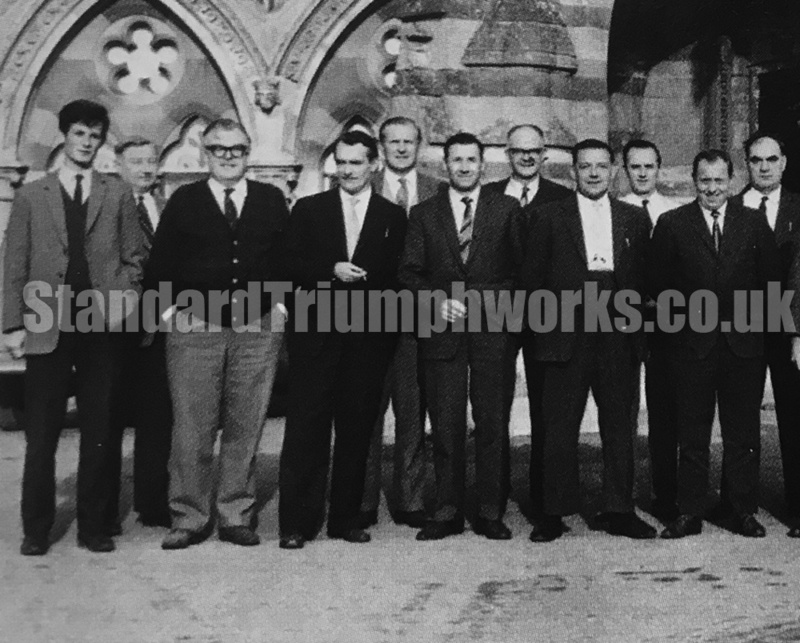 Here 6th from the left, with the pipe looks like Peter Lilly. UPDATE: The only person I recognise is on the far right: Gordon Parham Physical Training Instructor. Ex Apprentices School. Banner Lane then Canley.